New to the site? Here’s a curated greatest-hits. Mexican Assassins are Pretty Damn Competent: Some feared for our lives when we plumbed the horrors of south-of-the-border drug violence with this article. 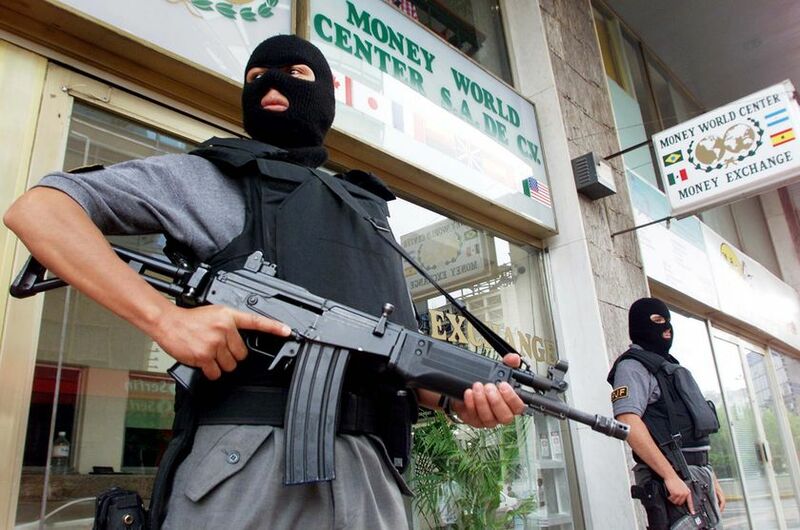 Many former Mexican army and police members defect to the dark side, bringing their expertise along with them. That’s like Lieutenant Daniels’ Major Case Squad joining forces with the Marlo Stanfield crew to take out Tommy Carcetti, Scott Templeton and Julian Bond. Except in real life and not cool. Also, Mexican. HOLA EL PRADO: The Museo del Prado in Madrid has put its finest masterpieces online in super-high resolution, with a little help from Google Earth. We have the screengrabs to prove it. Nothing can reproduce the feeling of seeing these paintings surrounded by other masterpieces of the same artist or time period, but this comes pretty damn close. Mono County Police Work: Hunt, fish, ride, snowmobile, bust some idiots! A tale of a kickass posse of lawmen who play by day, and lure fools into sting operations by night. Their techniques are deliciously simple: just a post on Craigslist saying “Lift tickets for 420, yo” and the drug fiends come sprinting right into the trap! Pour some out for Theodore Haffenreffer: The Boston brewer who created the legendary Haffenreffer Private Stock malt liquor passed away at the age of 91. Theodore Haffenreffer grew up in the beverage business: his house shared water pipes with the family brewery next door. He ultimately became a European-trained expert in the ways of boozedom, and devised one of the most enduring brands of hard-hitting brew that the United States has ever seen. Ron Howard’s Pimp Game: The video’s staging, plot, and ambience are wholly banal; Foxx and his posse roll up to a party in a sweet ride, have some drinks with some ladies, a couple of girls kiss each other, T-Pain sings an awesome bridge, all the homies toast each other, the end. That said, this video features Ron Howard as a key member of Jamie Foxx’ posse. Playing himself. And every appearance he makes induces blurted laughter. Tamil Tigers: See ya, wouldn’t want to be ya: One of the world’s longest-running civil wars is about to come to an abrupt and definitive conclusion. After spending 25 years battling for an independent homeland, and at one point holding significant swaths of Sri Lankan territory, the controversial independence group called the Liberation Tigers of Tamil Eelam (LTTE), also known as the Tamil Tigers, are standing on the verge of oblivion.